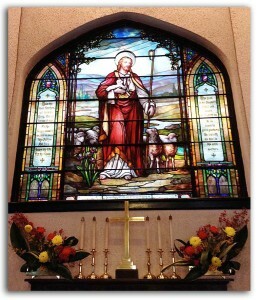 One of the first things people notice upon entering the nave is the Good Shepherd window. In the early 1900’s, the J. P. Carson family lived at “Dundee,” which was located at the end of what is now Dundee Road. 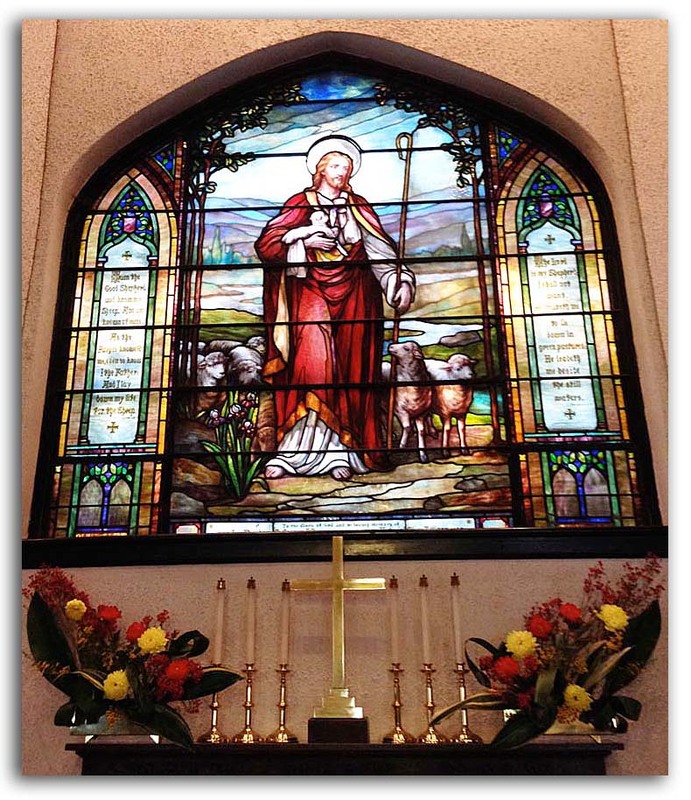 It was just a short carriage ride to their Church, Good Shepherd. The senior Carsons, the Rev. Theodore Carson and his wife, Victoria, were frequent visitors at Dundee. Their son, Joseph Carson, his wife, Catherine, and their three children: Theodore, Catherine, and Joseph, Jr. were the full time residents.